The common name for this plant tells the story. Heal-All has had so many medicinal uses there would be no other name as fitting. 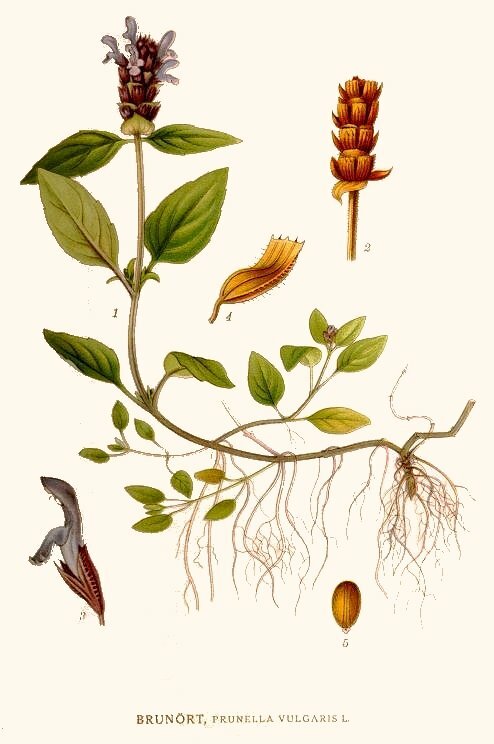 It has been made into a drink to use as a tonic, the leaves tea for heart ailments, the juice and leaves ointments and poultices for injuries and bruises, and the list goes on. 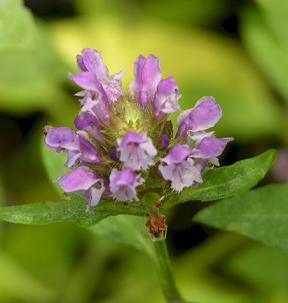 Self-Heal’s native origin is Europe but the plant has naturalized over much of the continent. 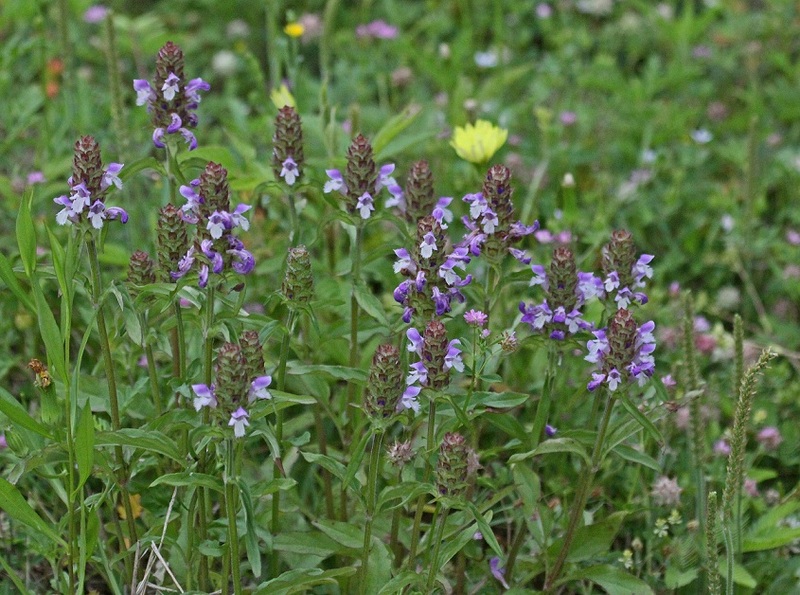 The foot high stems bear purple to pink hooded flowers throughout the Summer. 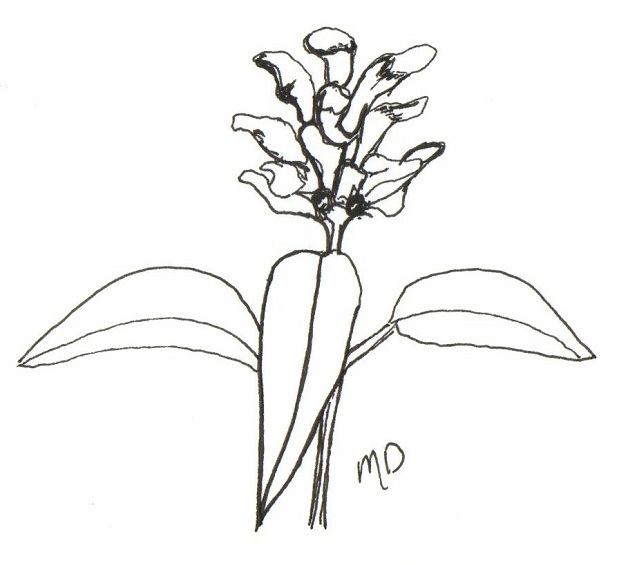 It is a deep-rooted plant that will form dense mattes. Use it in areas needing a tough groundcover free of delicate plants that it might compete with. This plant will inhabit open disturbed sites as well as moist areas in USDA zones 1-11. Photo below center courtesy of Jerry Oldenettel. It is our pleasure to share the photograph in this section with you under the Creative Commons License (see link below for details). We retain ownership of the photo but you may use it freely as long as you credit our website.